Conference Series organizes a conference series of 3000+ Global Events with over 600+ Conferences, 1200+ Symposiums and 1200+ Workshops in USA, Europe & Asia with support from 1000 more scientific societies and publishes 700+ Open access journals which contain over 30000 eminent personalities, reputed scientists as editorial board members. 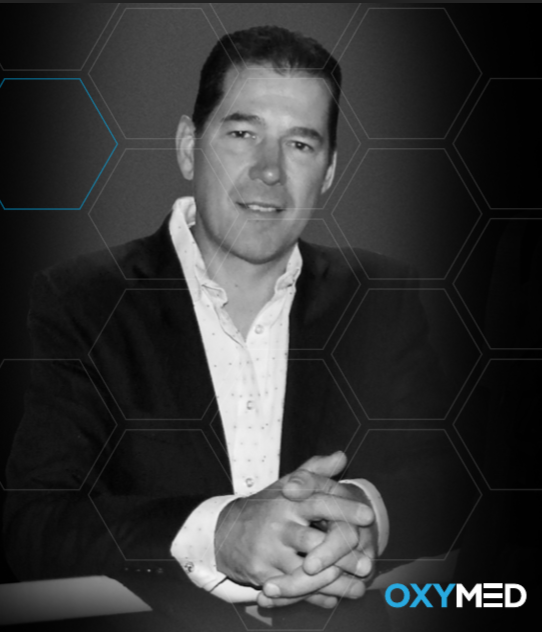 It is a platform that provides an ideal combination of excellent science, an open atmosphere and allowing attendees and speakers to easily focus on the academic exchange of ideas and authoritative views which covers the entire spectrum of research in Neurosciences. With members from around the world focused on learning about Neurology and its disorders; this is your best opportunity to reach the largest assemblage of participants from the Neurology sector. It will provide exposure to the on-going researches in the Neuroscience and Neurology labs. Will give opportunities to the companies to showcase their products and have face to face meetings with scientists increasing their business opportunities. It also gives companies to know about their market competitors. We endeavor to make 26th World Congress on Neurology and Neurodisorders a success, with your support and high-quality talks from Neurological committees. We assure you that you will experience world class facilities and hospitality throughout the conference session. Presentations, information distribution, meet with current and potential scientists, make a splash with new ways of treatment & care, and receive name recognition at this 2-day event. 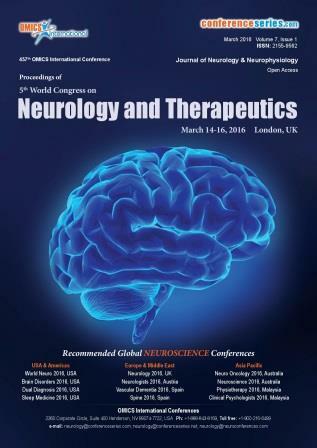 World-renowned speakers, the most recent techniques, developments, and the newest updates in neurology are hallmarks of this conference. Gathering of World famous Neurologists and Researchers, Psychiatrist, etc. Discussion of advanced technologies used in the prevention of the Neurodegenerative Disorders (Amyotrophic lateral sclerosis, Parkinson's disease, Alzheimer's disease, and Huntington's disease), Mental Health, Epilepsy, Dementia, Psychology, etc. New drugs designed to get cure from Neurodegenerative Disorders, and its Therapeutic uses, Workshops, etc. 12th Global Neurologists Meeting on Neurology and Neurosurgery, September 21-22, 2018 Singapore| 28th World Congress on Neurology and Therapeutics, February 28 – March 02, 2019 Berlin, Germany| 30th World Psychiatrists and Psychologists Meet, October 01-02, 2018 Osaka, Japan | 3rd International conference on Neuroscience, Neuroradiology & Imaging, October 03-04, 2018 Osaka, Japan| 8th International Congress on Stroke and Brain Hemorrhage, September 20-21, 2018 Prague, Czech Republic| World Brain Congress, December 5-7, 2018 Dubai, UAE| 21st World Congress on Neurology and Therapeutics, March 15-17, 2018 London, UK| 4th Global Experts Meeting on Parkinson’s & Movement Disorders, May 14-15, 2018 Singapore| 25th World Congress on Neurology and Neurodisorders, July 16-17, 2018 Melbourne, Australia| 11th FENS forum of Neuroscience , July 07-11, 2018, Berlin, Germany | Neurological Disorders Summit , July 06-08,2017, San Francisco, CA , USA| Medical , Medicine and Health sciences, July 08-09 2017, Bali , Indonesia | World congress on Neurology, Sep 16-21 2017, Kyoto, Japan | Congress of European academy of Neurology , June 24-27 2017, Amsterdam , The Netherlands | Australasian Neuroscience Nurses Association (ANNA), Neuroscience Research Australia (NORD) , Australasian Neuroscience Society, Applied Neuroscience Society Of Australasia , Singapore Neuroscience Association (SNA). Neuro-oncology is the investigation of brain and spinal cord neoplasms, huge numbers of which are (in any event in the end) exceptionally risky and hazardous. Among the harmful mind diseases, gliomas of the brainstem and pons, glioblastoma multiforme, and high-review (exceedingly anaplastic) astrocytoma are among the worst. In these cases, untreated survival, as a rule, adds up to just a couple of months, and survival with ebb and flow radiation and chemotherapy medicines may expand that time from around multi-year to eighteen months, conceivably at least two, contingent upon the patient's condition, resistant capacity, medications utilized, and the particular kind of dangerous cerebrum neoplasm. The medical procedure may now and again be remedial, be that as it may, when in doubt, harmful mind growths have a tendency to recover and rise up out of reduction effortlessly, particularly exceedingly dangerous cases. In such cases, the objective is to extract as a significant part of the mass (tumor cells) and however much of the tumor edge as could reasonably be expected without jeopardizing imperative capacities or other essential subjective capacities. The spinal disorders are the results of infection, injuries, tumors, Ankylosing spondylitis, scoliosis, spinal stenosis, and herniated disks. When the structure of bone changes then it causes pain due to the pressure on the spinal cord and the nervous system. These disorders can be diagnosed by computed tomography, discography, electromyography, MRI ETC. It causes the skeletal hyperostosis, fracture of the thoracic and lumbar spine, etc. Alzheimer disease, the degenerative brain disorder that develops in mid-to-late adulthood. It results in a progressive and irreversible decline in memory and a deterioration of various other cognitive abilities. The disease is characterized by the destruction of nerve cells and neural connections in the cerebral cortex of the brain and by a significant loss of brain mass. 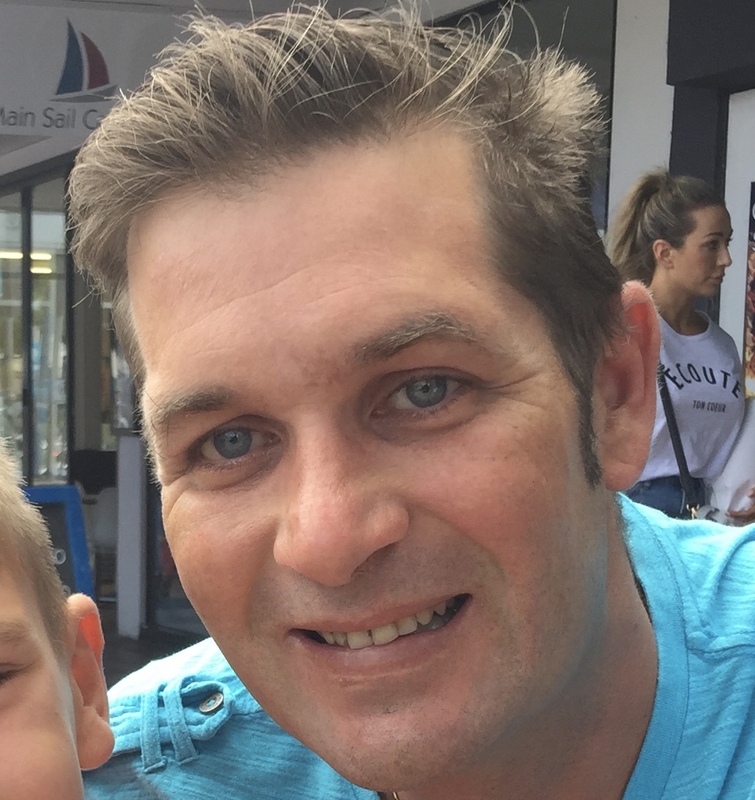 Dementia is a broad description which includes many different symptoms, including memory loss, word-finding difficulties, impaired judgment, and problems with day-to-day activities, which are caused by injury or loss of brain cells (neurons). Mild Cognitive Impairment is an intermediate stage between the normal and serious decline of dementia. Problems arise in thinking, language, judgment, etc. Epilepsy is a condition in which a person has repetitive seizures. A seizure is characterized as an abnormal, disorderly discharging of the brain's nerve cells, resulting in a temporary disturbance of motor, sensory, or mental function. There are numerous sorts of seizures, depending principally on what part of the brain is involved. The term epilepsy says nothing about the type of seizure or cause of the seizure, only that the seizures happen again and again. A stricter definition of the term requires that the seizures have no known underlying cause. This may also be called primary or idiopathic epilepsy. Neurodisorders Congress 2019 cordially invites you all to be a part of this conference which is mainly focusing on latest advancements emerging in the field of Neurosciences. 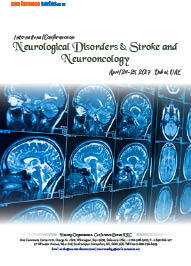 ConferenceSeries Ltd is providing a great platform for thousands of Neurologists meet, learn, share and exchange views. As per the BCC report, the global market for neurological disease treatment and medication was worth $12.6 billion in 2006 and will reach $14 billion by 2007. At a compound annual growth rate (CAGR) of 11.6%, the global market will be worth almost $24.3 billion by 2012. Drugs for multiple sclerosis, Alzheimer's disease, and Parkinson's disease control approximately 99% of the total market share. Medications for multiple sclerosis are just over 35% greater than the market share of medication for Alzheimer's disease, despite the fact that there are far fewer patients with MS. As AD drugs become more prevalent, the shares of the market could change dramatically. The Imperial Palace, Ginza District, Asakusa, and the Sensō-Ji Temple, National Museum of Nature and Science, Ueno Park and Zoo, Tokyo National Museum, National Museum of Western Art, The Meiji Shrine, The Miraikan and Edo-Tokyo Museums, The Tokyo Skytree, The National Art Center, The Kabuki-za Theatre. Meet Your Target Market With members from around the world focused on learning about the latest innovations in screening and treatments for neurological disorders; this is your single best opportunity to reach the largest assemblage of participants from the Universities, Neurology research centers and hospitals and conduct demonstrations of new screening instruments, distribute information about novel agents and strategies, meet with highly affiliated speakers, showing of clinical trials as well as advancements in new neurological therapies, current methods and controversies in psychic therapy and receive name recognition at this 2-day event. World-renowned speakers, the most recent techniques for screening as well as for treatment, and the newest updates in Neurological disorders and treatments are hallmarks of this conference. Conferenceseries LLC takes great honor in announcing the commencement of 11th World Congress on Neurology and Therapeutics March 27-29, 2017 Madrid, Spain. Neurology-2017 has received a benevolent response from all over the world. This has been conducted with the aim and the categorical intent of promoting the developments of new perceptions and ideas for exploring the high level of knowledge reached by the scientific community on Neuroscience. The extremely illustrious conference hosted by Conferenceseries LLC was marked with the attendance of young and brilliant researchers, clinicians, business delegates and talented student communities. The conference was organized around the theme Scientific quest to enhance the fascinating and mystified Neurons. The event implanted a firm relation to upcoming strategies in the field of Neurology with the scientific community. The conceptual and applicable knowledge shared, will also foster organizational collaborations to nurture scientific accelerations. Conferenceseries LLC offers its heartfelt appreciation to all the Organizing Committee Members, Chairs and Co-Chairs, Speakers, Students, Media Partners and Editorial Board Members of Journal of Neurology & Neurophysiology, Journal of Neuroinfectious Diseases and Journal of Neurological Disorders who supported the conference in every aspect for the awe-inspiring exhibition at the venue. Conference Series llc LTD takes great honor in announcing the commencement of 25th World Congress on Neurology and Neurodisorders July 16-17, 2018 Melbourne, Australia. Neurodisorders Congress 2018 has received a benevolent response from all over the world. This has been conducted with the aim and the categorical intent of promoting the developments of new perceptions and ideas for exploring the high level of knowledge reached by the scientific community on Neuroscience and neurodisorders. The extremely illustrious conference hosted by Conference Series llc LTD was marked with the attendance of young and brilliant researchers, clinicians, business delegates and talented student communities. 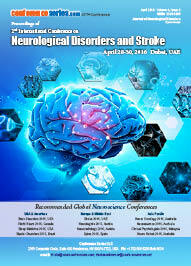 The conference was organized around the theme of Exploring Novel Technologies in Neurology and Neurological Disorders. The event implanted a firm relation to upcoming strategies in the field of Neurology with the scientific community. The conceptual and applicable knowledge shared, will also foster organizational collaborations to nurture scientific accelerations. Conference Series llc LTD offers its heartfelt appreciation to all the Organizing Committee Members, Chairs and Co-Chairs, Speakers, Students, Media Partners and Editorial Board Members of Journal of Neurological Disorders, Journal of Neurology & Neurophysiology and Journal of Neuroscience & Clinical Research who supported the conference in every aspect for the awe-inspiring exhibition at the venue. We once again thank you all for the enormous exquisite response. This inspires us to continue organizing events and conferences for furthering the Neuroscience Research. Conference Series llc LTD therefore, is glad to announce its 26th World Congress on Neurology and Neurodisorders, May 15-16, 2019, Tokyo, Japan.